Bankside in Bolton-le-Sands, near Carnforth, Lancashire sleeps 2 people. Bankside near Carnforth is situated just off the A6 which links Kendal to Lancaster; this modern, spacious and comfortable holiday home is ideally situated for exploring Cumbria’s Lake District National Park as well as the neighbouring county of Lancashire. Attached to the owner’s home, this superb annexe offers thoughtfully laid out accommodation. 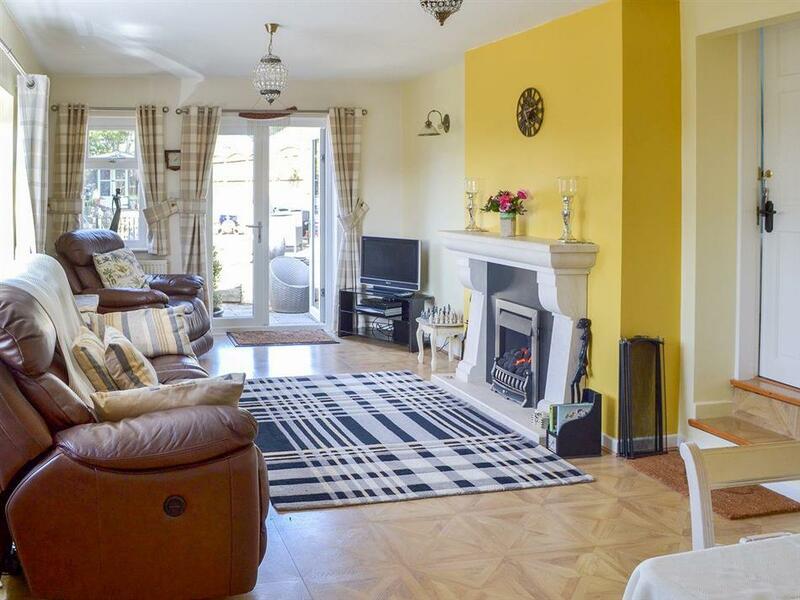 There is a light and airy living room with a dining area and a gas fire for those cooler winter evenings. There is a small separate kitchen which has everything that you need for self-catering should you not want to take advantage of all the great pubs and restaurants in the area. The beautifully presented bedroom with a king size bed has its own dressing area with a modern vanity unit and a separate shower room. French doors from the living room lead out onto to a pretty garden which is equipped with a table, seating and a gas barbecue for al fresco dining. The garden also has its own private gate which provides direct access onto the Lancaster Canal path which runs behind the property. It is a lovely place to either take a gentle stroll or to simply sit and watch ducks and barges go by. With so much to see and do you will be spoilt for choice and its certainly the type of place you could keep coming back to. Alternatively, of course, you could just choose to simply relax and unwind. The beach is 2 miles from Bankside near Carnforth. With the shop and restaurant ½ mile, and the pub is 500 yards from Bankside. Bedroom: With king-size bed and 2 steps to en-suite with shower cubicle and toilet. Gas central heating, gas, electricity, bed linen, towels and Wi-Fi included. 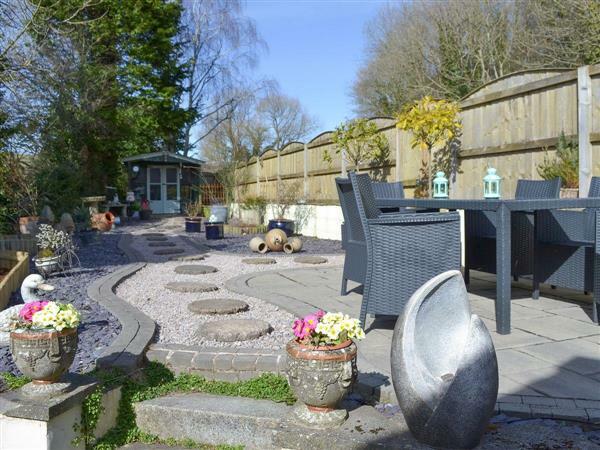 Enclosed garden with patio and gas barbecue (shared with owners). On road parking. No smoking. Please note: There are 4 steps in the garden and access to the canal, 10 yards away. Holidays at Bankside run from Friday to Friday. For a better idea of where Bankside is, you can see Bankside on the map below. Bankside is in Lancashire; should you be on the lookout for a special offer, you can find all the special offers in Lancashire. It's always worth checking to see what is on offer at the moment. Do you want to holiday near Bankside (UKC3293), you can see other cottages within 25 miles of Bankside; have a look to find your perfect holiday location.